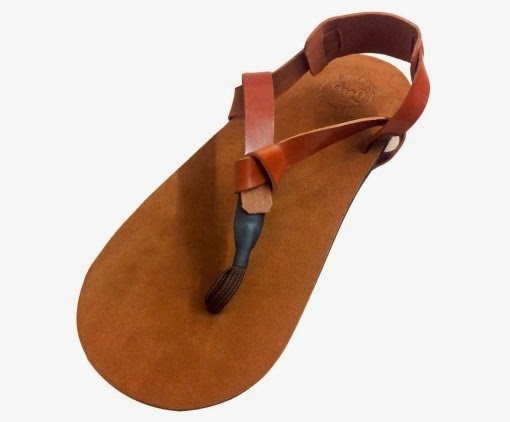 It was only a matter of time before I found a good enough excuse to buy some Huaraches - the sandals worn by the running tribe of Tarahumaras described in Chris McDougal's best-selling "Born to Run" book. The excuse is that I will soon be going on holiday to Malaysia where it will be ridiculously humid and I know from past experience that it is not fun running with extremely sweaty feet. Arguably, it is not much fun running in those kind of conditions - full stop. To be honest, I'm not sure if I will actually run in them, but I will certainly wear them for walking around as a much more comfortable alternative to the flip flops de rigeur and I'll take it from there.